​This one made it to the list back in July but back by popular demand is this cute idea for setting a reading goal for the little ones. This might be a great way to encourage the kids to get through their reading list this school year! ​This wall idea is adorable and can be used in just about any space. I’ve seen this for guests to sign as they walk through an entryway, down the hallway for tiny artists to have some fun, and even covering a bathroom wall highlighting daily thoughts and quotes! 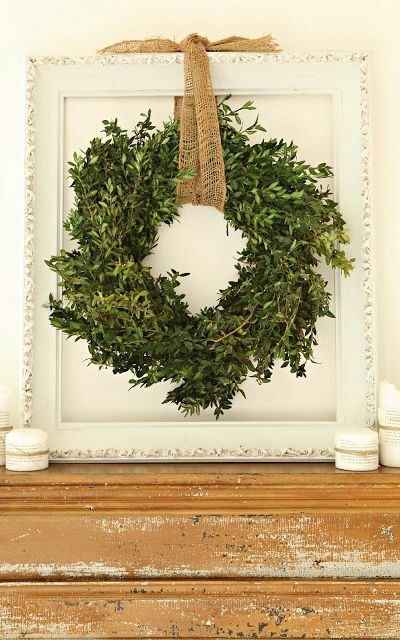 ​A classic framed wreath shouts autumn! I love the simplicity; versatility and rustic feel this décor idea has.